Human error, old technology and legal showdowns could come back to haunt 2020. On the Monday morning following the 2018 midterm, Alexander Erlenbach arrived to serve on the Broward County canvassing board to find a security barricade and a slew of police officers. The once-quaint election supervisor’s office inside a mall in Lauderhill, Florida, had turned into a security checkpoint and stakeout location for local and national media. This is when he knew it was bad. What followed was Florida’s first statewide recount ever -- and for three races: the Senate race, governor’s race and race for state agriculture commissioner. Even though all 67 counties had to recount and update their preliminary results, two counties, in particular, garnered national attention for their checkered pasts in election management; Broward and Palm Beach counties. And in the chaos that followed, Broward’s supervisor of elections, Brenda Snipes, accidentally mixed more than a dozen rejected ballots with nearly 200 valid ones, according to the Miami Herald, a mistake that strengthens Republican allegations of incompetence. 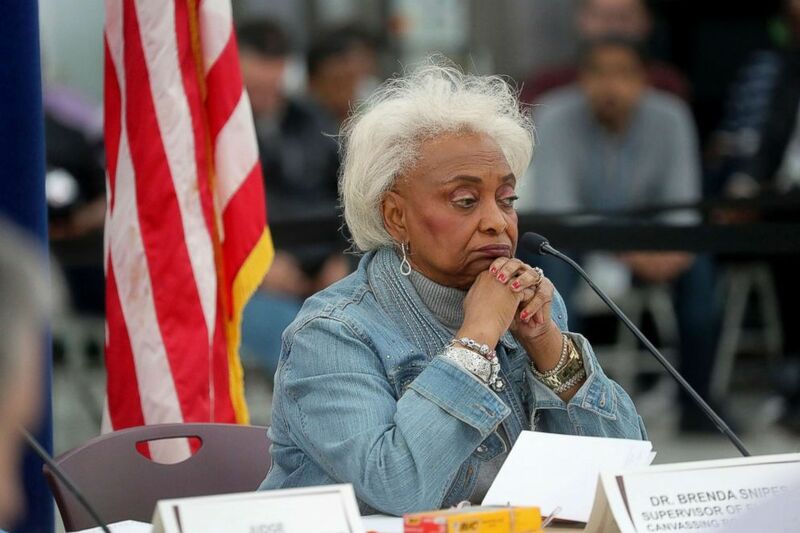 (Mike Stocker/South Florida Sun-Sentinel/AP) Broward County Supervisor of Elections Brenda Snipes explains to the canvassing board the discrepancy in vote counts during the hand count at the Broward County Supervisor of Elections office in Lauderhill, Fla., Nov. 17, 2018. Though she was slated to resign as of January, Florida Gov. Rick Scott on Friday suspended her effective immediately for "misfeasance, incompetence and neglect of duty" according to ABC affiliate WTXL. Scott appointed Peter Antonacci, president and CEO of Enterprise Florida, Inc., an economic development organization, -- where Scott serves as chairman, according to the partnership's website. On Saturday, however, Snipes rescinded her resignation and said in a statement that "the suspension was unwarranted, unjust and unnecessary." Snipes will now be "fighting this to the very end," her attorney said in a Saturday news conference. While concerns regarding human error became conflated with spin by some, including President Donald Trump, officials on the ground are beginning discussions for how to prepare legislatively, operationally and legally for upcoming elections, most notably for the next presidential election in 2020. County election supervisors, political consultants and lawyers specializing in election law are convening in Sarasota this weekend to draw up recommendations for the incoming state legislature that will resume in March, and there seems to a surprising amount of agreement of what to include. David O’Brien of FairVote, a nonpartisan organization that advocates for electoral reform, was part of a team that oversaw and collected data from the Florida recounts last month. “What struck out to me is how little things have changed,” O’Brien said, comparing the most recent recounts to the infamous 2000 election. In 2000, only four counties in Florida recounted their ballots due to reports of partially punched paper ballots that may have been improperly disqualified, or “hanging chads.” In response, Florida passed a unifying law that calls for all counties to participate in a recount if called. Some officials say this is a great step; others say it’s not enough. 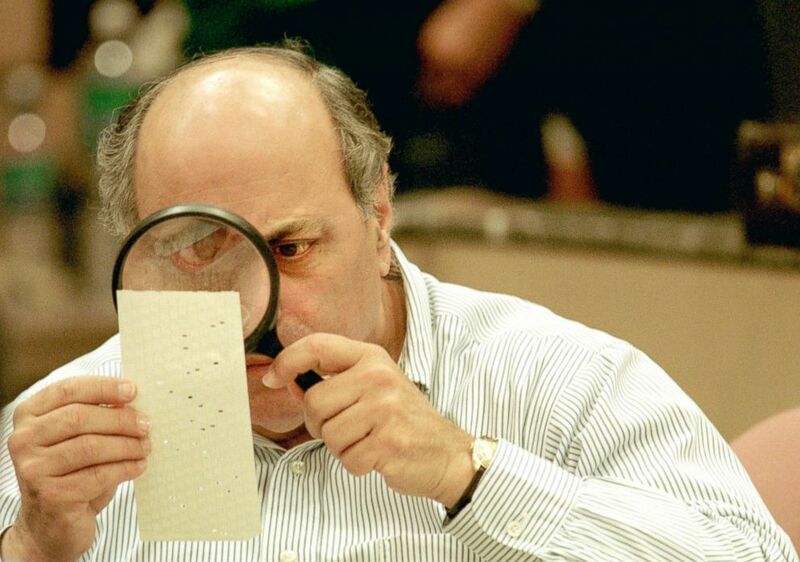 (Robert King/Getty Images, FILE) Judge Robert Rosenberg of the Broward County Canvassing Board uses a magnifying glass to examine a dimpled chad on a punch card ballot, Nov. 24, 2000, during a vote recount in Fort Lauderdale, Florida. This sole but notable policy change resulted in a massive recount effort throughout the peninsula. According to data procured by FairVote, 10 percent of all U.S. statewide recounts within the 21st century occurred in Florida last month. Both Broward and Palm Beach counties did not meet the recount deadline this year. Palm Beach’s supervisor of elections blamed the delay on decades-old machines over-heating throughout the recount process, and Broward missed the deadline by two minutes. According to state law, the preliminary election results for that county are upheld if the recount deadline is missed. Regardless, the counties’ second set of returns were accepted. Susan MacManus, political scientist athe the University of South Florida, explained that Florida’s laws regarding nontraditional ballots and signature matching build on this backlog. Election night totals are not all inclusive in Florida because provisional ballots, the most recent overseas ballots and the last of the vote by mail ballots will not begin to be entered into the system until 7:00pm on Election Day, while overseas ballots still have another ten days to arrive, she said. This is why 100,000 untabulated votes will seemingly appear out of nowhere and put the election in limbo, especially in more populated counties in south Florida -- like Broward, Palm Beach and in year’s past Miami-Dade -- on election night. “You’re not going to match all those signatures that night,” MacManus said, who added that the procedure varies from county to county. Signature matching was a hotly contested issue in Florida’s courtrooms last month. One court challenge notably resulted in Floridians having more time to correct signature match issues with their mail in or provisional ballots. Some experts point to Oregon’s system as a solution. According to Yury Konnikov of the Florida Initiative for Electoral Reform (FLIER), the state's signature system should incorporate voters’ most recent signatures like credit card companies and banks do, rather than the last signature used during voter registration. “If you register to vote at 18 and don’t vote again for years, your signature is going to be different,” Konnikov said. 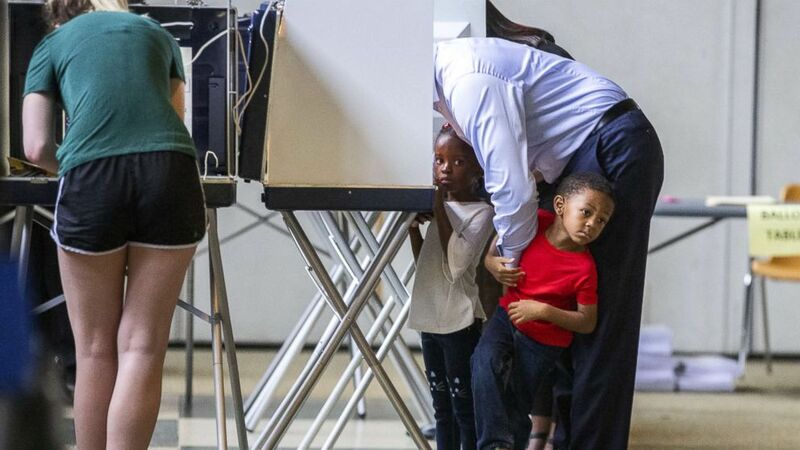 (Mark Wallheiser/Getty Images) Tallahassee mayor and Democratic gubernatorial candidate Andrew Gillum casts his ballot with his four-year-old twins Caroline and Jackson on Nov. 6, 2018, in Tallahassee, Fla. The ugly part that needs to be sifted through though is the occurrence of erroneous mismanagement by some election officials, contributing to ballot counting confusion. Bill Galvano, the incoming Florida Senate President who will receive FSASE legislation recommendations next year, has said that the state has been under a cloud of suspicion since 2000. During a meeting with reporters following the recount last month, Galvano said "we've had too many problems in too many cycles." He added that he would "have a system with efficacy that doesn't require judicial intervention." ABC News' Chris Good contributed to this report.